What can I say? This book is absolutely genius. The book is being re-released and I still stand my my first thoughts when I read this book. Mark Tatulli is the guy who does the Lio cartoon strips for the newspaper [if you don’t know which one that is, it’s the one with the adorable little boy that has a pet squid, or is it cephalopod], anyway, his illustrations, or cartoons since it is a kids book and illustrations sounds too grown up are incredible. 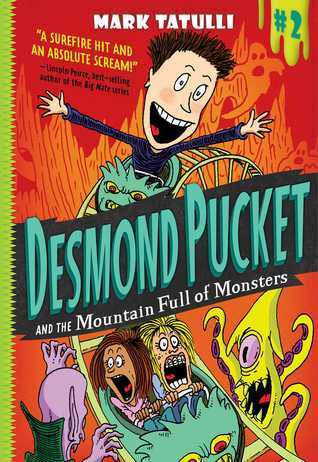 The story follows Desmond Pucket as he tries to save the “Mountain Full of Monsters” ride at his local amusement park, while at the same time getting the attention of the girl he’s sweet on [he’s a 6thgrader so its ok]. With the help of his friends Desmond sets out to make enough money to give the monsters a new home; because hey, what kind of monster lover lets them get blown up? Using his love for monsters, he sets up a “Scare for Fun” business [smart kid, hard worker], because remember, you never scare to be mean, that’s not cool, he makes $500 do give as many monsters as possible a new home. 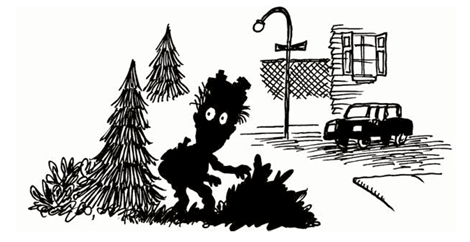 If I wasn’t so into monsters, shadow-ducking would be my second career choice. I would recommend this book for basically anyone, but technically it is a kid’s book. The story is written simply and combined with the illustrations [sorry, cartoons] it makes it very engaging for young readers. So let’s round up the little monsters [I mean kids] and get them reading.